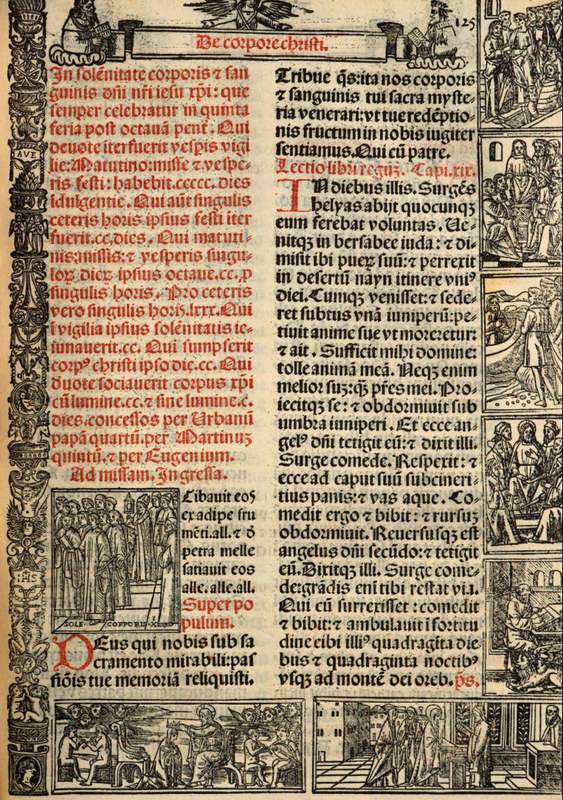 The first page of the Mass of Corpus Christi from an Ambrosian Missal printed in 1522. 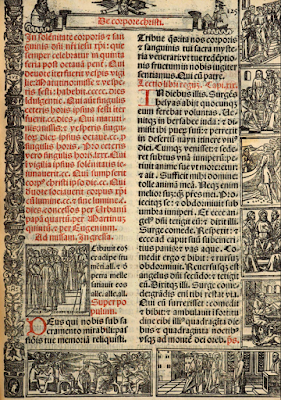 In the illustration after the rubrics (next to the Ingressa, the equivalent of the Introit), a bishop is carrying the Blessed Sacrament in procession. Notice that the monstrance is cylindrical, rather than flat, and he is still wearing his miter; both of these customs are still observed to this day. 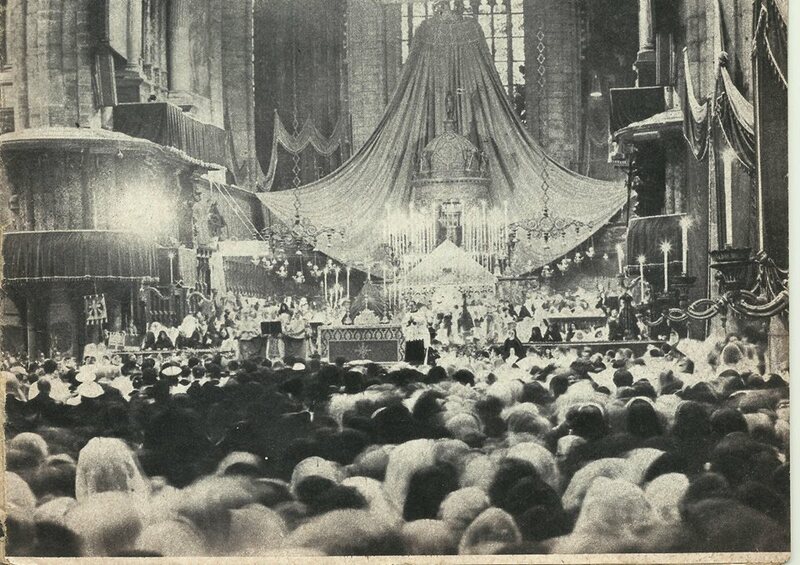 - The traditional Ambrosian Mass of Corpus Christ is that composed for the Roman Rite by St Thomas Aquinas, with the necessary adjustments to the form of the rite, including a Prophetic reading (3 Kings 19, 3-8) and the proper Preface given here; the Lauda Sion is not said, since the Sequence was never adopted in the Ambrosian Rite. 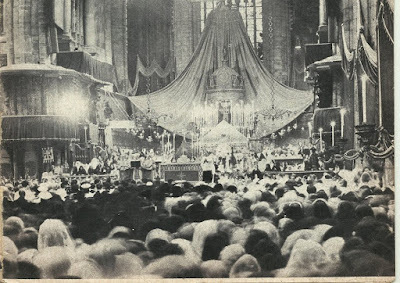 The main sanctuary of the Duomo of Milan, decorated for Corpus Christi in 1963. From the Facebook page of the Ambrosian Rite traditional Latin Mass community.